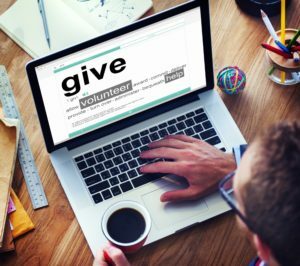 Making the most out of every donation in an effort to reach your mission with limited staff, volunteers and scarce resources is an ongoing struggle for nonprofits – large and small. Accounting for every dollar spent and maintaining a running account of expenditures related to administrative, programs and fundraising is tough, particularly when it comes to employee time tracking and labor costs. Add to that the challenge of processing payrolls with the correct taxes including potential SUTA exemptions and frequently no HR department to lean on for compliance expertise and recruiting and it can all become quite a mess that potentially results in fines, penalties, regulatory compliance citations and a possible public relations disaster affecting your reputation and donors’ perceptions. Checkmate has been working with nonprofit organizations for over 20 years, providing guidance and expertise with payroll services, time and attendance tracking and HR support. We are a member of the NH Center for Nonprofits and provide members and non members with a custom software solutions to meet their needs and also work within their tight budgets. Our goal is to take the burden off you, so you can focus on continuing to do the good work toward your mission helping your local community or the global community. We strongly believe in this work ourselves so much so that we provide our own employees with paid time off so they can give back via volunteerism and community involvement.